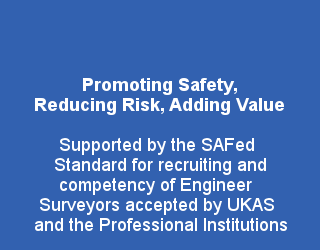 Why use a SAFed Member? Clients owning or operating equipment in the workplace require inspection and examination services to ensure equipment safety and comply with the relevant legislation. Clients have a legal responsibility to ensure that such inspections and thorough examinations are carried out by persons who are competent for the task. 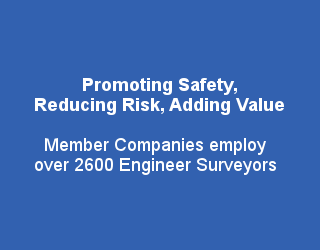 SAFed Member Companies are independent inspection companies, who provide inspection services free from commercial conflict with servicing, maintenance, hire or manufacture. 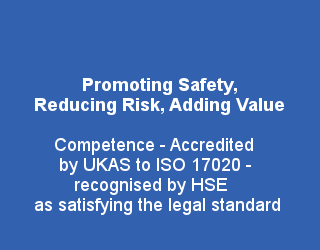 Full member companies are accredited by the sole Government approved accreditation body UKAS (United Kingdom Accreditation Service) to the international standard for inspection bodies (ISO/IEC 17020). In addition, their competence and that of their engineer surveyor employees is formally assessed to ensure high standards of technical competence and safe working ability. What is the status of SAFed guidance documents? 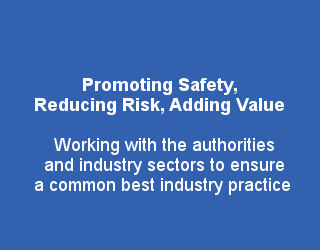 SAFed provide guidance documents to the inspection industry as best practice. All documents will have as a minimum been exposed to scrutiny by the HSE to ensure reliable and consistent advice. The documents, however, are guidance and have no legal standing whatsoever, unless referring to particular and relevant legislation. 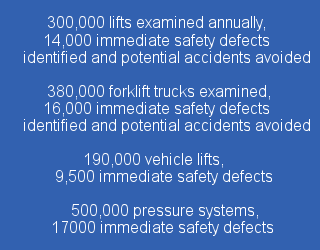 They do generally provide advice, which if followed, would normally be considered as satisfying the requirements of the general ‘duty of care’ in the safety of equipment. How do I know if the equipment I provide or use is covered by work equipment regulations? In general the local authority and HSE would consider the primary use of the equipment to determine whether it is covered by the relevant legislation or not. If in doubt clients should consult their local authority for advice. 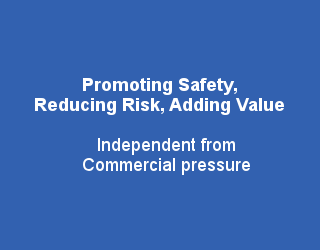 Irrespective of whether the equipment is covered by workplace legislation, owners and operators of equipment should be aware that they would be subject to the general duty of care and that SAFed recommends that complying with the workplace legislation would normally be considered to satisfy the more general duty of care.